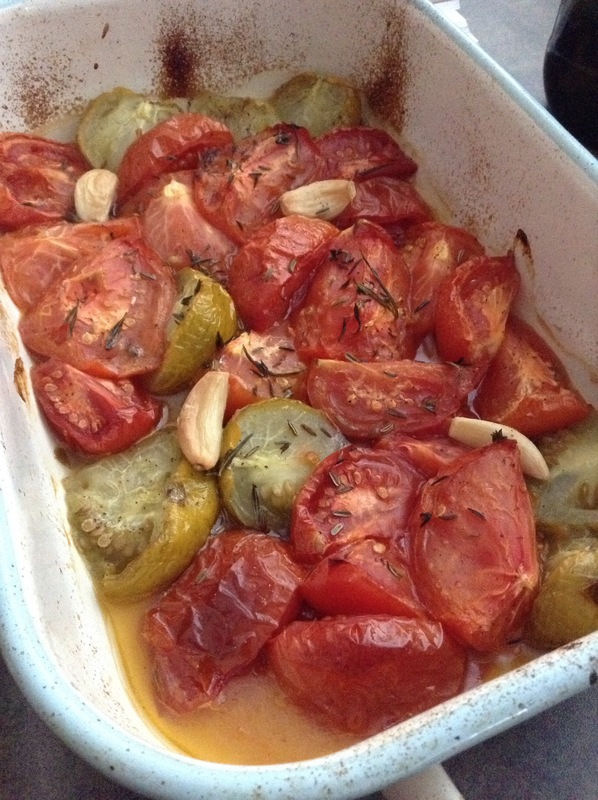 We had a pile of very ripe tomatoes and decided to make a roast tomato sauce as our thirtieth new recipe this year. We got the recipe from a great book called “Small-Batch Preserving” by Ellie Topp and Margaret Howard. They used cilantro which we didn’t have, so we used rosemary and thyme instead. Quarter 10 plum tomatoes. Ours are heirloom tomatoes. Put them in a roasting pan with 10 cloves garlic, peeled, piece hot pepper, 2 tbsp olive oil, 1/2 tsp ground cumin, mustard seeds, salt and pepper. We just used fennel seeds. Roast at 180C/350F for 35 minutes. We left them for an hour. Blend in a food processor and place in containers to store in the fridge or freezer. Becky added olives to ours and served it with pasta. 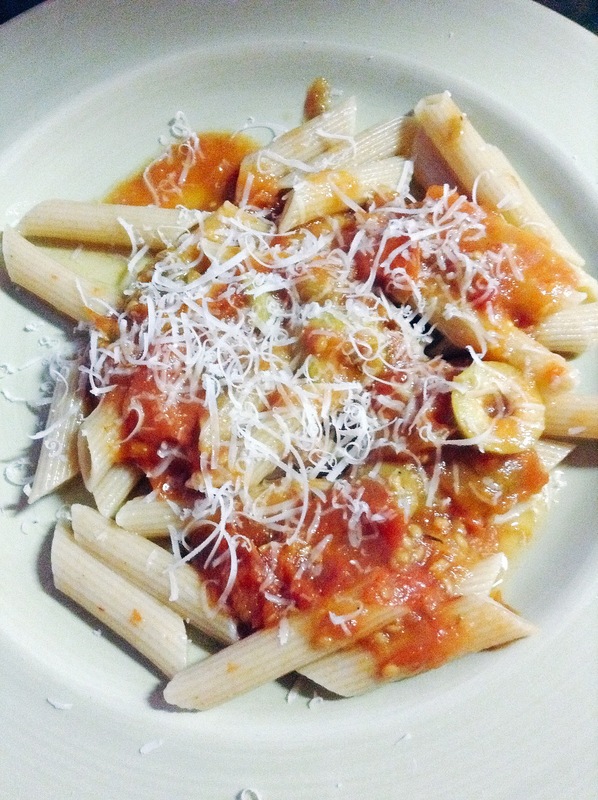 Another simple recipe that is tasty and versatile. I was born in Birmingham, England and emigrated to Canada in 1988. Becky is my daughter who was injured in a car accident. We are working towards her independence. 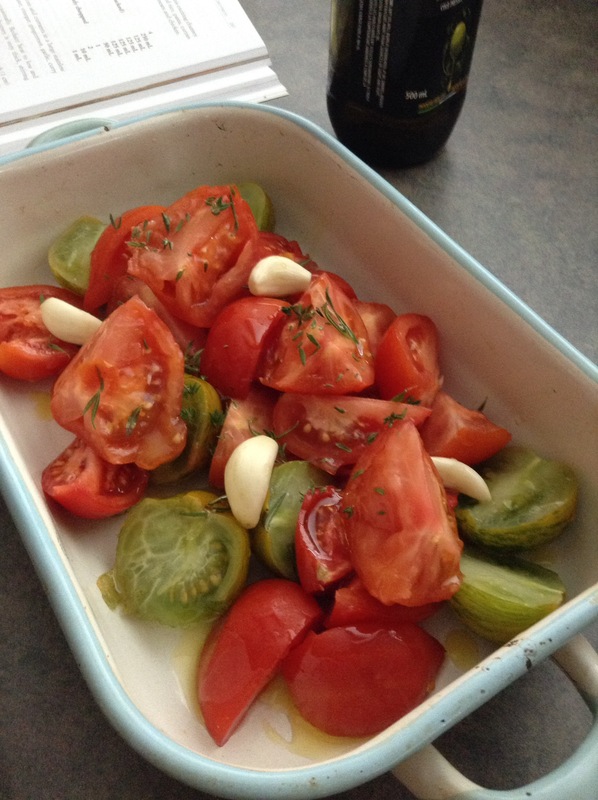 This entry was posted in cooking, Food, Gardens, vegetarian and tagged cooking, food, garden, tomatoes, vegetarian. Bookmark the permalink.